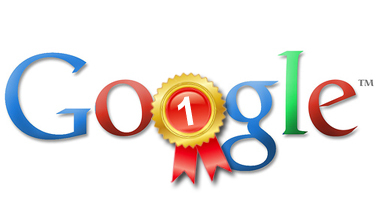 For the second year running Google has topped the search engine user satisfaction ratings. According to the new report by American Customer Satisfaction Index (ACSI) on consumer satisfaction with search engines, it says that users like Google more than they did last year. This E-business report was released by ACSI yesterday, a reliable survey taken by ForeSee Results and the University of Michigan. 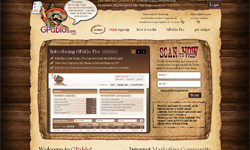 Scoring an incredible 86 percentage Google virtually swept the competition off their feet. Yahoo and Live Search (Bing was not yet born at this point, but will be in the next year report) have received customer satisfaction ratings of 77 and 74 percentage respectively. These figures are almost the same as last year ratings. The ACSI report seems to underline Google's unquestionable dominance in the search engine front. “The e-business category reached a new high this year, up 2.8% to an ACSI score of 81.5. Since measurement began in 2000, the category is up a remarkable 29.4%, good news for people who are increasingly turning to the Internet as a primary source of information. Portal and search engine sites led the way, improving 4% to a new category high of 83, while sites that provide news and information, in particular the online versions of national newspapers and television news media, lagged well behind, falling 1% to 74. Still, the Internet has proven to be a more satisfying resource for news and information than its more traditional news counterparts—broadcast and cable TV news programs and newspapers had ACSI scores of 71 and 63, respectively, when last measured in the first quarter of 2009”. 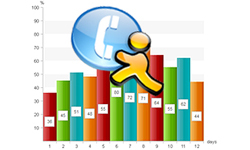 The report revealed that all the major search engines have improved their scores overtime, but Ask.com and AOL are lagging behind with all time low rankings. There is a considerable increase in the overall user satisfaction index compared to search engines' performance last year. Among the industries examined web portals and search engines show a sharp rise of 3.8% increase by reaching an 83% satisfaction rate over last year. The automobile industry leads the pack in satisfaction rate with 84%. Though Google maintained the same rate as the previous year, they outnumbered all other engines by at leat an 8% margin. (View the Scores By Industry Chart) grabbing an increase of 2.6% over last year. 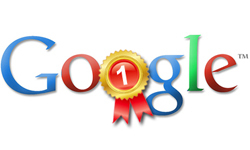 Google high grades are not unexpected given the continual investment to improving the overall search engine. Although Google has topped the charts for the 2nd year in a row, the search scenario has changed in the last few months. Now we have a rejuvenated Microsoft with Bing's launch and the latest Microsoft – Yahoo! search deal. Bing has already showed a slight climb in market share ladder. Congrats to Google on the innovations and hard work. It is clear that the upcoming year may be a bit more challenging for big G! You’re correct heytwoodle. This won’t pay Google much in the upcoming months considering the phenomenal partnership between it’s immediate competitors. The whole search front is eager to know whether their next few quarters of growth will be smooth or not. The fog has to be cleared a bit more, it is quite unpredictable how these figures will be after the MS-Yahoo post deal scenario. The stats will be complete only if the user survey details were taken worldwide, that may have a different story to tell. Google’s search results are fast, accurate and relevant; and to top it all, it’s so user friendly. I don’t really see why anyone should opt for another search engine when Google satisfies all their search demands in a pretty good manner. Unless someone comes up with some thing so innovative and unique that the present search methods become redundant, Google will continue on its forward march. Google is too well entrenched and has become synonymous with search for the vast majority of internet users.